U.S. Stem Cell, Inc. (OTC:USRM) is an emerging leader in the worldwide development of proprietary, physician-based stem cell therapies and novel regenerative medicine solutions. Based in Sunrise, Florida, the Company has developed a clinical protocol and kit— AdipoCellTM —that helps isolate a patient’s own stem cells while keeping them intact, in order to harness their healing ability for a wide variety of indications. USRM also trains and certifies physicians from around the world in the administration of stem cell therapies and protocols — to date, more than 700+ physicians worldwide. The company is also in the process of opening standalone and partnered stem cell clinics — to date, four in the United States—and several worldwide. There are two targeted stem cell products. USRM currently has in development for the repair of cardiac tissue: MyoCellR and MyoCell SVF-1TM— both of which are poised to go to the next phase of clinical development. MyoCellR, a muscle stem cell therapy intended to improve cardiac function after heart attack, involves utilizing USRM’s proprietary cell-culturing process to isolate and expand muscle stem cells (myoblasts) to assist in combating scar tissue in order to improve cardiac function. Phase I, II and part one of a phase II/III trial have been completed; Part two of a Phase II/III is approved by the FDA and ready to begin patient enrollment. MyoCell SDF-1, a more robust form of MyoCellR, involves using the same myoblast cells as in MyoCellR with the addition of a gene-modified adenovirus vector in order to release additional stromal derived factor 1, or SDF-1 protein. By modifying the myoblasts to express SDF-1 prior to injection, the levels of SDF proteins in the heart can increase. In preclinical studies, MyoCell SDF-1 provided a 54% improvement of cardiac function compared to a 27% improvement in the original MyoCell composition while the animal placebo control group declined 10%. Preclinical trials also demonstrated MyoCell SDF-1 has the potential to enhance blood vessel formation in damaged hearts. The IND application was approved by the FDA. USRM is currently seeking partners to fully develop and commercialize these products, which have already demonstrated safety and efficacy in preliminary studies. U.S. Stem Cell also has two product lines that are derivatives of its core work in humans: veterinary stem cell products, which have demonstrated marketability in the high-end equine market; and stem cell banking, a service that is a secondary business unit that helps facilitate its core competency of stem cell therapies. For more information, please contact us.To be added to our mailing list, please subscribe. Dr. William P. Murphy, Jr., M.D. 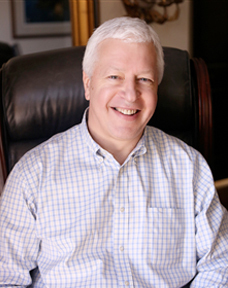 Dr. William P. Murphy, Jr., currently serves the Chairman of the Board of U.S. Stem Cell, having joined the as a member of the Board of Directors in June 2003. 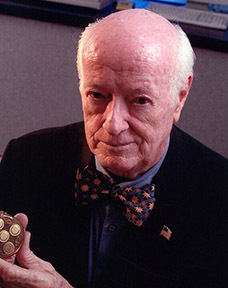 A highly successful entrepreneur and inventor, the owner of 17 patents, a distinguished speaker and published author, Dr. Murphy founded Small Parts, Inc., a supplier of high quality mechanical components for design engineers in 1964 and served as its Chairman until his retirement in April 2005. Small Parts, Inc. was later acquired by Amazon.com, Inc. in March 2005. From October 1999 until October 2004, Dr. Murphy served as the Chairman and Chief Executive Officer of Hyperion, Inc., a medical diagnosis company which filed for involuntary bankruptcy in December 2003. Dr. Murphy is the founder of Cordis Corporation (now Cordis Johnson & Johnson) which he led as President, Chairman and Chief Executive Officer at various times during his 28 years at Cordis until his retirement in October 1985. Cordis Johnson & Johnson is a leading firm in cardiovascular instrumentation. Dr. Murphy received an M.D. in 1947 from the University of Illinois and a B.S in pre-medicine from Harvard College in 1946. He also studied physiologic instrumentation at Massachusetts Institute of Technology. Dr. Murphy is the recipient of a number of honors, including the prestigious Lemelson-MIT Lifetime Achievement Award, the MIT Corporate Leadership Award, the Distinguished Service Award from North American Society of Pacing and Electrophysiology and the Jay Malina Award from the Beacon Council, Miami-Dade County’s economic development arm. Mike Tomas, President & CEO of U.S. 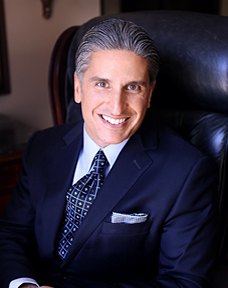 Stem Cell Inc, is considered by many in the industry as one of the most experienced marketers and operating executives for IT/Communications and Biotech/Life Sciences private equity and venture groups portfolio companies. The son of a serial entrepreneur, he spent nearly 20 years driving the evolution of telecommunications technology in the U.S. and Mexico in leadership roles ranging from sales, marketing, customer service, telemarketing, engineering, and operations. Upon retiring as Chief Marketing Officer of Avantel, MCI/Worldcom’s Global Ventures $1B investment with Banamex (at the time, the largest bank in Latin America), Mr. Tomás joined other former-MCI executives (including MCI CEO Jerry Taylor) and helped form an integrated customer communications software solution that was named on Red Herring magazine’s “Top Ten to Watch” list. Upon the successful sale of that company in 2001, Mr. Tomas helped launch The ASTRI Group, an early-stage private equity investment company providing capital, business development and strategic marketing support to emerging private companies. Mr. Tomas sits on the board of U.S. Stem Cell Inc. (adult stem cell development and applications) and has sat on the boards of The IDEA Center (Miami Dade College’s entrepreneurial institute), Career Source Florida (appointed by Florida Governor Rick Scott to his statewide workforce investment board) and is the past chairman of Florida International University’s Global Entrepreneurship Center. 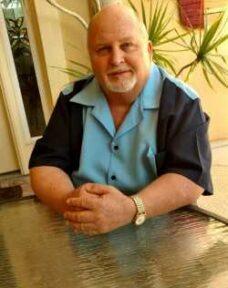 Mr. Tomas is an inductee into the Miami-Dade College and WACE Halls of Fame for business, an FIU Torch Award winner–and winner of top communications, medical innovations, education and entrepreneurial awards. An avid athlete, Mr. Tomas was also a Miami-Dade County Sports Commissioner. 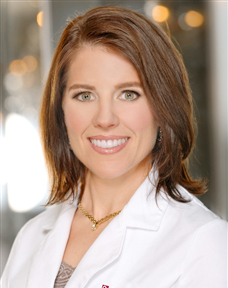 Dr. Kristin Comella, USRM’s Chief Science Officer, has an extensive background in the study and implementation of stem cell therapy. As a student focusing on the mechanics and systems of the body in order to achieve optimal health, her more than 20+ years experience has given her notable training with experts in the stem cell arena. Her graduate studies and course work at Ohio State University provided her the opportunity to work with Dr. Jeffery Chalmers to focus on the use of nano-particles magnets to isolate and separate cells. She then delved more deeply into stem cell research at Osiris Therapeutics — a small start-up in Maryland — mentored company founded by the ‘father of Mesenchymal Stem Cells,’ Dr. Arnie Caplan. Her work at Osiris led in 2002 to one of the first IND approvals of stem cells in orthopedics from the FDA, and was the beginning of her zeroing in on stem cells and their application for healing. Following her work at Osiris, Dr. Comella was offered the opportunity to work with Dr. Darwin Prockop, the Grandfather of cellular therapy research on mesenchymal progenitors, at Tulane University. Her responsibilities included supervising the FDA GMP facility (good manufacturing practices) at Tulane’s Center of Gene Therapy, where she focused on the application of mesenchymal stem cell therapy for spinal cord injuries. Her dedication to the advancement of stem cell therapy and regenerative medicine led her to what is now U.S. Stem Cell in 2004. The combination of Dr. Comella’s background, as well as the timing of the world’s need for and emerging understanding of the benefit of stem cell therapy, make USRM an opportunity whose time has come. Mark Borman is a strategic, roll-up-your-sleeves CFO and Board Member with a passion for growing companies ranging from startup, private equity, IPO to publicly-traded. His forte is helping companies achieve strategic growth, profitability, cash-flow, capital-raising, and valuation goals. Mark’s performance-driven experiences were honed at NASDAQ- and NYSE-listed companies that three times nearly tripled sales. He has raised $7.5 billion in 12 offerings to finance rapid growth, acquisitions and strategic transformations through leveraged buyouts, IPO and secondary equity offerings, convertible note offerings, and exits with spinoffs into three new IPO companies, which were subsequently acquired. He received his MBA in Finance from the University of Chicago and his Bachelor’s degree in Accounting from Michigan State University. Borman is also a Certified Public Accountant and Chartered Financial Analyst. Mr. Anderson is Chairman of the Florida Advisory Board of Northern Trust Corporation. 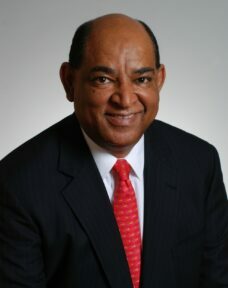 From 1992 through December 31, 2012, Mr. Anderson served in a variety of executive capacities with Northern Trust Corporation, including his most recent position as Chairman and Chief executive Officer Southeast Region of Northern Trust Corporation. Mr. Anderson is the Chair-elect of the Beacon Council, Miami-Dade County’s economic development agency. He is a Board member of the Miami-Dade College Foundation, Inc.; Museum of Contemporary Art (MOCA); the New World Symphony; Baptist Health Systems Governing Board and Carrollton School of the Sacred Heart. He is Past Chair and a member of the Advisory Council of the United Way of Miami-Dade County. Anderson is President of the Board of Cleveland Orchestra Miami / Miami Music Association and also serves on the Advisory Board of the University of Miami School of Law for Ethics& Public Service. He is a member of the Orange Bowl Committee and the President’s Council of Florida International University. A Miami native, Sheldon holds a degree in International Studies from Ohio State University. I have been in the Construction Industry for 47 Years. I am the President of G.E. Knutson Inc. a Concrete and Masonry Company which I personally started in 1987. Also I am the President and Founder of Sunwood Properties LLC which is my Property Management Company I started in 2008. Finally I am also a Managing Partner of G&G Land Development Co LLC which specializes in Residential Developments.